Ark of the Covenant Site Found: We’re getting a preview of the WallBuilders Israel Tour today! Did you know there are around 37,000 archeological sites in Israel?! Archeologists think they may have discovered a location where the Ark of the Covenant rested in Bible times! We have Omer Eshel with us to talk about some recent finds in the Middle East! Federalist Or Anti-Federalist? Foundations Of Freedom Thursday: It is Foundations of Freedom Thursday, a special day of the week where we get to answer questions from you, the listeners! Tune in today as we answer your questions such as, which is better, Federalists or Anti-Federalists? Why can't they hold the Speaker of the House responsible and throw him in jail until they do their jobs? Does the president need an act of Congress to change the Birthright Citizenship Amendment? 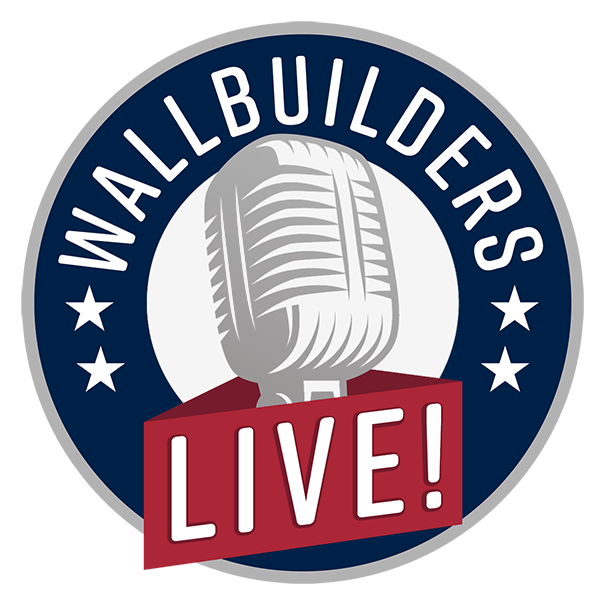 And so much more, right here on WallBuilders Live! Brazil’s Bolsonaro Confirms Embassy Move To Jerusalem- Good News Friday! Brazil’s Bolsonaro Confirms Embassy Move To Jerusalem: We call it Good News Friday because it's a chance for David and Tim to share some good news from across the nation and around the world. In this episode, we talk about how a peace cross was kept up honoring veterans stands. How Trump’s approval jumps up. How Brazil’s Bolsonaro confirms embassy move to Jerusalem. And more!